We never lose sight of our responsibility towards the teams who are behind our success and the communities that nurture our sites worldwide. bioMérieux places particular emphasis on the quality of our Human and Labor Relations. We work closely with our social partners, focusing in particular on the areas of health and integration in the workplace. We have a strong commitment to developing and maintaining the employment of people with disabilities in our company. We are committed to employees’ personal and professional development through training to enhance their skills and support them throughout their career. in the communities where our sites and subsidiaries are located, where we contribute to cultural and social philanthropy projects. 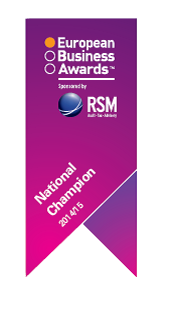 bioMérieux has been named as a National Champion for France in the European Business Awards (EBA). The EBA was set up to recognise and reward excellence, best practice and innovation across the European business community.